ALL games are under ONE roof at Rocky Top Sports World. The tournament has sold out every year so make sure to register early. 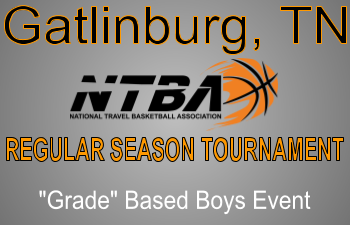 The tournament will be "grade" based for eligibility. Great awards to 1st/2nd place teams. Gold/Silver divisions. Deadline: April 21st. For discounted hotels & cabins, CLICK HERE.